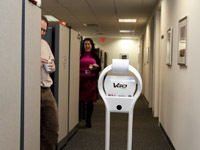 VGo is a mobile robot that acts as your proxy in a distant location. 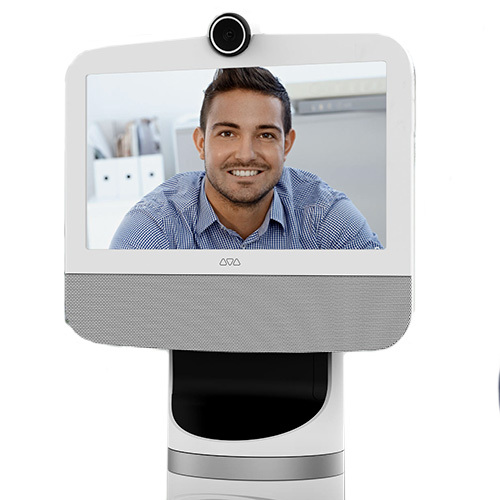 You control the robot over the Net, and you can see, hear, talk, and move around to attend meetings or hang out at the water cooler. 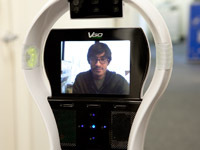 IEEE Spectrum robotics editor Erico Guizzo drives a VGo. VGo has microphones on its side and input ports on its back. 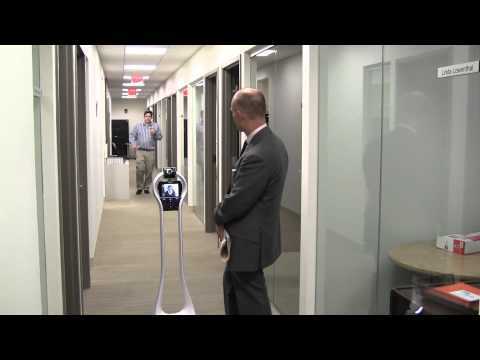 VGo meets some IEEE Spectrum coworkers. 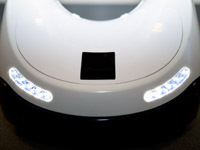 Headlights help the robot navigate in the dark. Boy uses a Vgo to go to school. 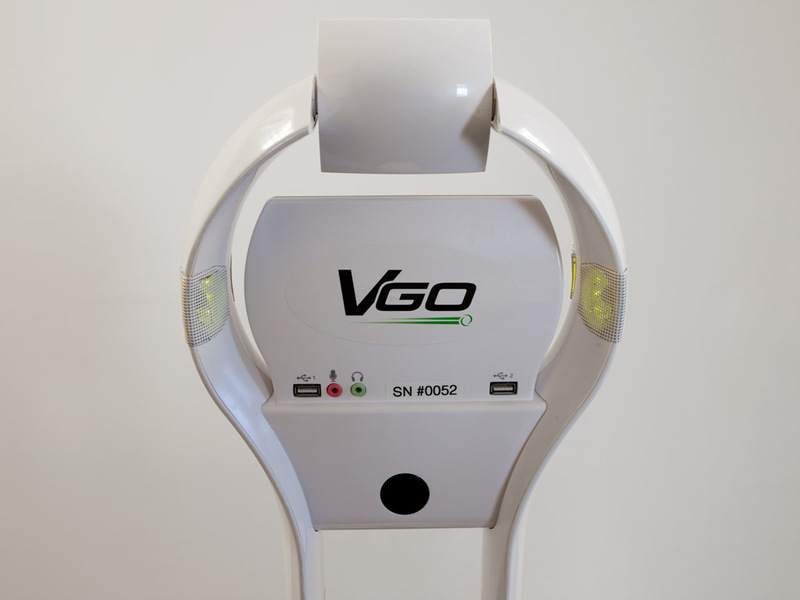 A Texas student, too sick to go to school because of a severe kidney disorder, has used a VGo to attend class. 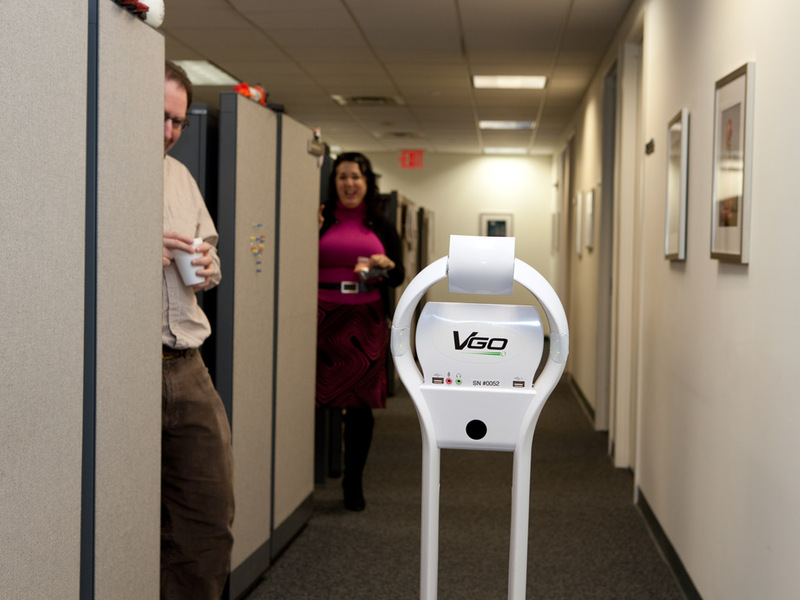 VGo's creators say people who are in the same room as the robot don't normally touch it, treating it like a person. Able to drive through tight spaces and operate for a full 8-hour workday. 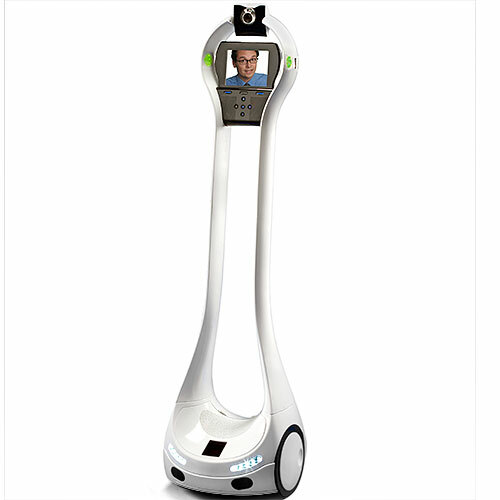 Equipped with Wi-Fi and, optionally, a 4G cellular network module. 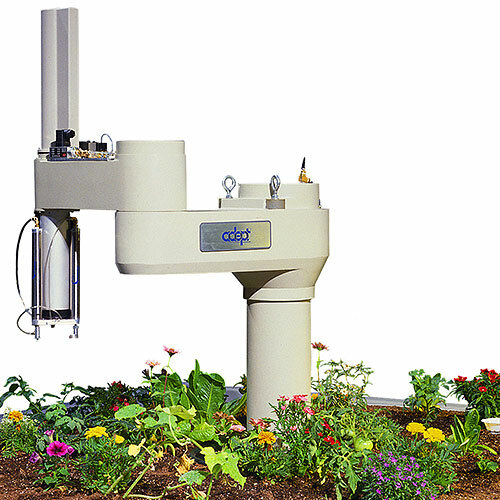 High-resolution color camera, accelerometer, four microphones, three infrared sensors, cliff-detecting sensor array. Linux OS and custom control software. Microsoft Windows and Mac OS X remote user client software. $6,000 Wi-Fi only model | $6,900 Wi-Fi + 4G LTE model. Plus $1,200 per year service contract. 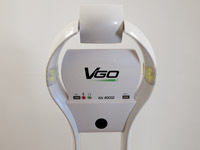 VGo Communications was founded in 2007 by Grinnell More, Tom Ryden, and Tim Root. 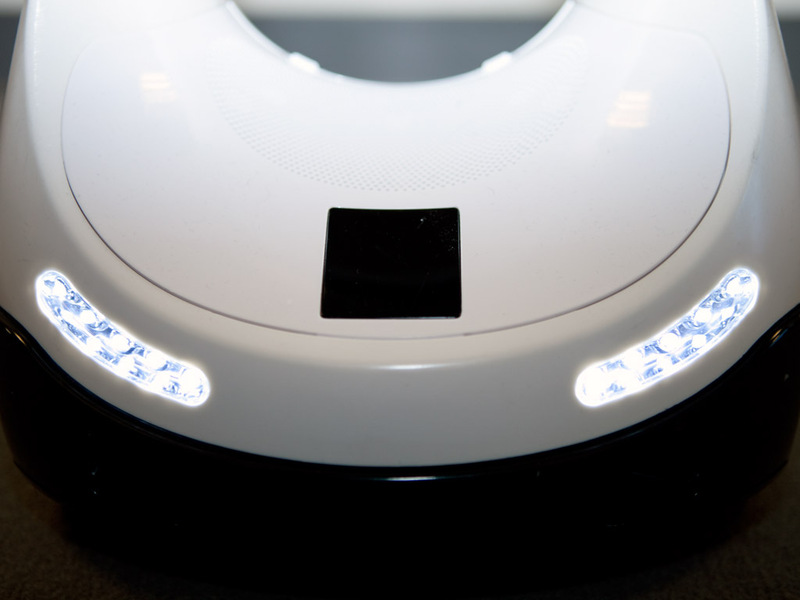 More and Ryden had previously worked at iRobot, helping to develop military robots like the PackBot and Warrior. 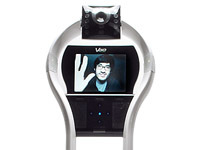 Root had been an executive at teleconferencing companies Polycom and PictureTel. 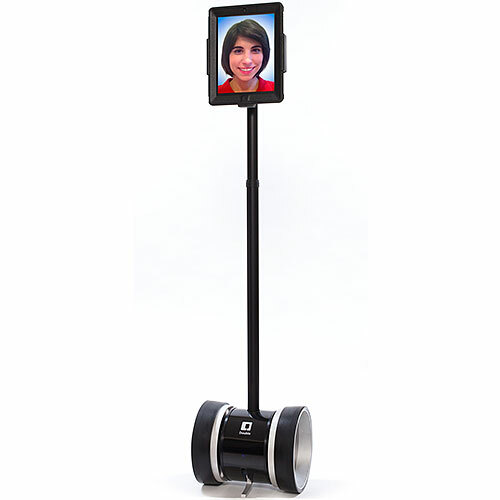 The founders combined their experience in robotics and teleconferencing to create VGo. The first model was unveiled in 2011 and started shipping to customers in early 2012. 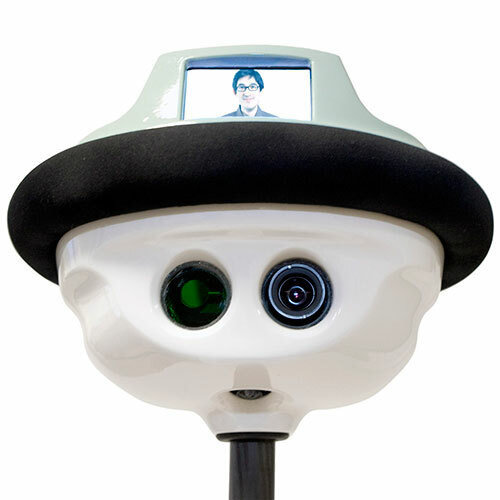 The company has marketed its robot for business, education, and healthcare applications.